Cold soil now means slower vegetable growth. Most deciduous trees are now dormant and leafless, ready for winter pruning, planting or transplanting. In frost-prone areas, it’s time to take a break from planting out and instead peruse the seed and plant catalogues with spring in mind. If you have a sheltered spot or are nearer the coast where the nights don’t get quite so chilly, it’s still worth putting in a few potatoes, onions and garlic, and green manuring any vacant vegetable beds. In heavy clay areas of Adelaide, now is a good time to add gypsum and allow the winter rain to wash it into the soil – not that much of that rain has arrived yet! Compost and manure can also be added in preparation for spring planting of evergreens, and top dressed over dormant asparagus crowns after they have been cut back to ground level. If you have planted early potatoes, they can now be hilled up as they grow, leaving a few pairs of leaves protruding on each plant. Leeks can be similarly backfilled as they grow, to produce long, white stems. 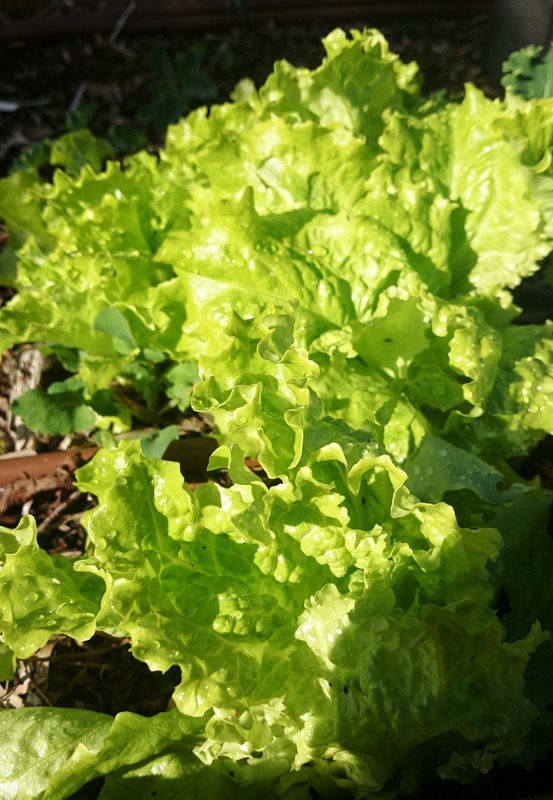 Those leafy greens that are already established will benefit from continuing with fortnightly liquid fertilisers – and check the soil moisture, as in spite of the cold, there may not have been enough rain yet to keep vegetables well watered. Early planted peas are producing well now – pick daily to keep them coming, and provide support as they grow taller. Lemons, mandarins, Tahitian limes and late navel oranges are now in abundance. Apart from eating them fresh and adding to juices for a Vitamin C boost, it’s time for making marmalade, cordial, lemon curd and lemon delicious pudding. Worm farms can be established now, needing less maintenance in the cold weather than they do in summer. Just be patient and feed them lightly at first, with soft food scraps and plenty of damp shredded newspaper over the top – their breeding is likely to speed up in spring, by which time you can crank up the feeding as well. Keep an eye out for weather damage if you’re in a storm-prone area. If trees suffer broken limbs, try to tidy up the wounds as soon as possible. Schedule any pruning when fine weather is forecast for the following few days, to reduce fungal exposure. Pack tools away under cover and keep them oiled to prevent rust. Ensure that chooks have warm, dry shelter and a sunny place to dust bathe to help them stay parasite-free, and forgive them if they take a break from laying during winter. This principle is fundamental to how I approach garden design. As its ‘spiderweb’ icon suggests, it’s very relevant to observing sectors and planning zones. But it’s also a great reminder to approach tasks in a logical sequence. For instance, reaching agreement within a group about the aims and scope of a project before launching into strategies. Or giving a tree formative pruning to create a strong framework in its early years before progressing to detailed pruning for fruit as it matures. This entry was posted in maintenance, manure, planning, soil, vegetables, winter. Bookmark the permalink.